4 days and counting until Vacation! This is an interesting rock formation a few miles west of Pagosa Springs. Great view from here in all directions. There is an ancient small Anazi ruins here also. 5 days and counting until Vacation! 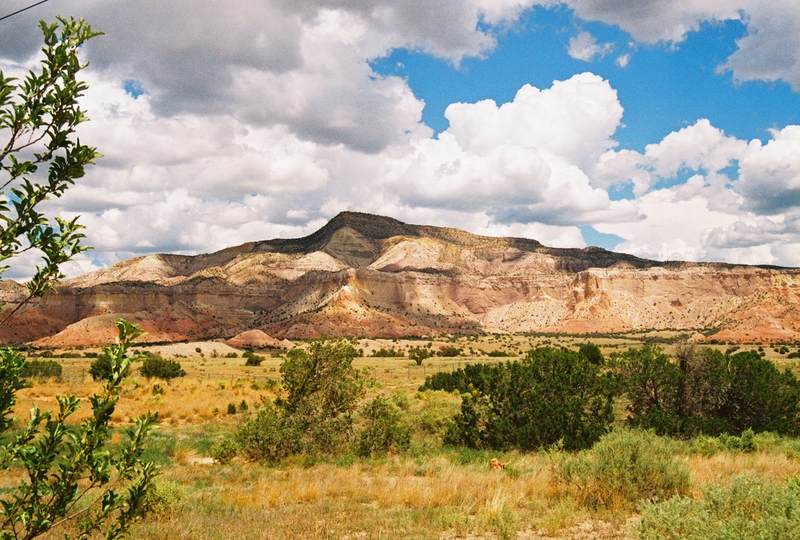 New Mexico, North of Santa Fe. Driving North out of Santa Fe on the road to Pagosa Springs the scenery is beautiful. This is truely Georgia O’Keefe country. 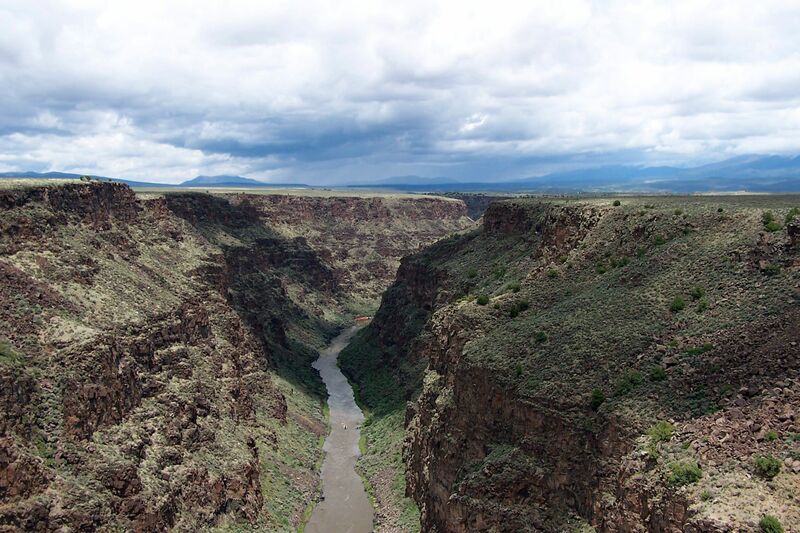 Rio Grande in Northern New Mexico. 7 days until vacation and counting!!! In State College Pa. on business so I missed blogging the last couple of days. If you are ever near Santa Fe you should take a side trip to Taos. The Rio Grande gorge there is well worth the the trip. This is the balcony view from where we will be staying in Pagosa Springs. 105% in Dallas today and 79% in Pagosa Springs — I can’t wait!!!! 11 days until our vacation starts!! We know where we are staying every night of the vacation and Saturday night we have tickets to the Pagosa Springs Folk Festival to see Ricky Skaggs. Otherwise, we have no plans. I am torn between developing a plan of things to do to fill up the time or just playing it by ear. Maybe the middle road is the best alternative. Tomorrow I will start searching the Internet to find at least a list of things to do if we want to. Also, I paid for the Folk Festival tickets but all I have is a receipt from Pay Pal. Should I just show up with the receipt or do I need something else? I am thinking I need something else. Will check on that tomorrow also. Parting thought of the day — work is getting in the way of planning this vacation. I have been working 80 hour weeks 6 or 7 days a week. Need to find a way to resolve this next year!! This year I plan to blog planning the vacation the next 3 weeks as well during the vacation. My goal is this will help my writing skills — we will see what we will see. 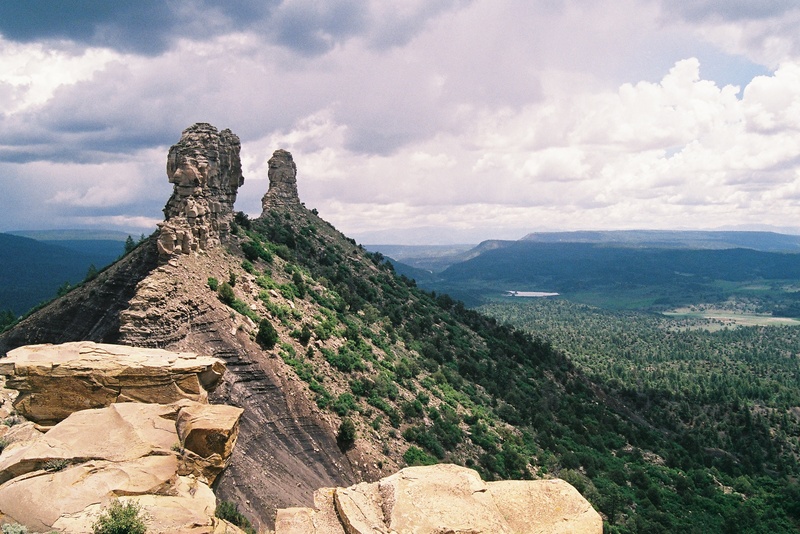 09/02 – Pick up rental car at DFW and drive to Palo Duro Canyon and campout at the State Park. Do some major hiking. This is one of the big 12 state park hikes. I have a goal to do all 12 before I am too old. This is the 1st so I better get hiking. 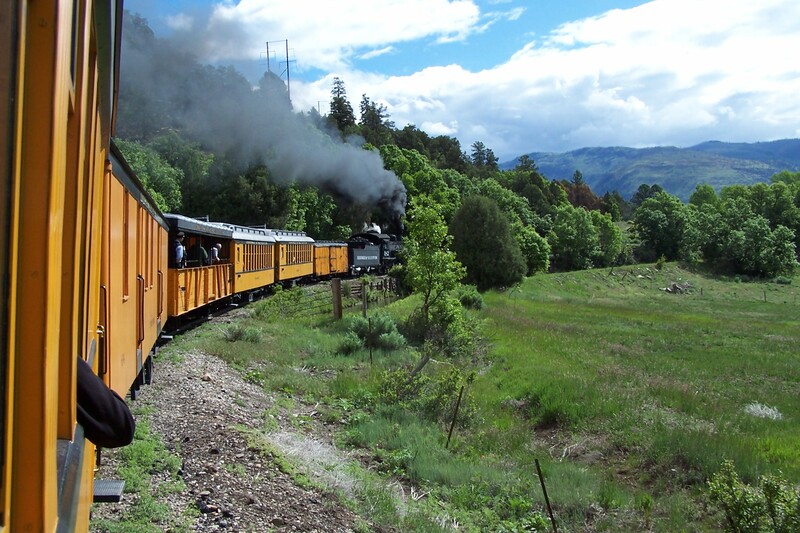 09/04 – Drive to Pagosa Spring. We are staying at the Wyndham Pagosa Springs Timeshare. Also going to the Pagosa Springs folk festival Saturday night. Ricky Skaggs is in concert. 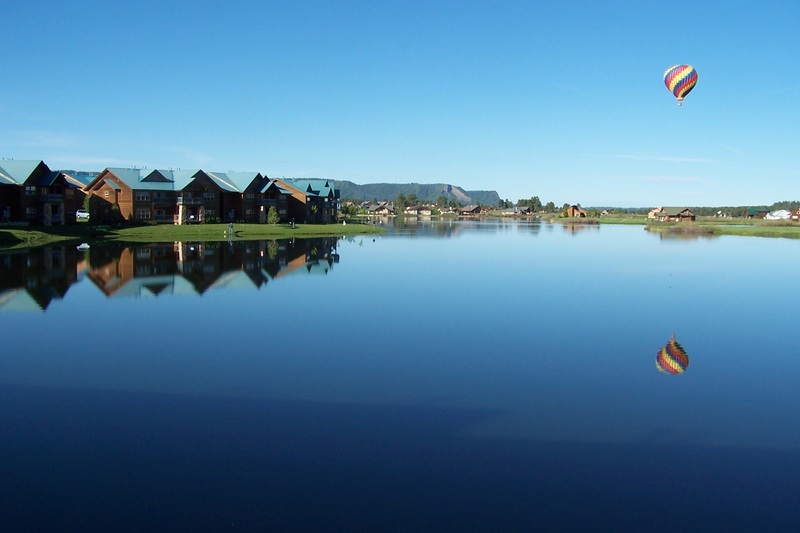 09/04 – 09/07 – Staying in Pagosa Springs 4 nights and leave the morning of the 8th. No plans yet. 09/08 – Drive to Flagstaff. Staying at the Wyndham Timeshare in Flagstaff. 09/12 – Drive home and recover from the vacation. You are currently browsing the Number 6's Blog blog archives for August, 2010.